At Rich Custom Jewelry it is our mission to provide you with professional, quality service and work at a fair price. Here your imagination is our limitation. If it can be accomplished within the laws of physics, your budget, and time, we will bring it into fruition. We create high quality, meaningful works of art that will stand the test of time as they are passed down along the generations. Whether we are creating a symbol of love and future, or creating your next fun fashionable design. We give each piece the time, dedication and attention to detail required to bring your desire into reality. At Rich Custom Jewelry we guarantee a smile. 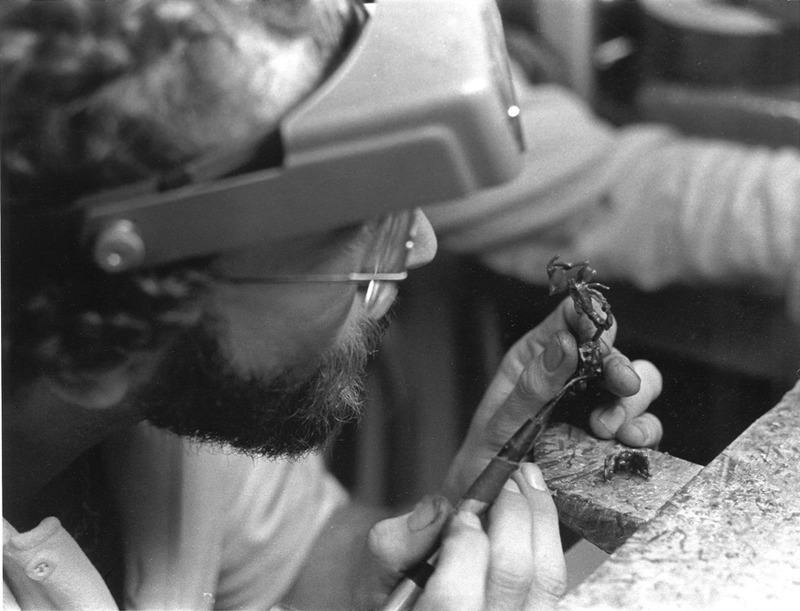 Since 1984, Rich Custom Jewelry, comprised of a team of professional jewelers, goldsmiths and designers lead by the owner, Rich Fedelleck, a true master of his craft, have served Nevada with an ethic that has gone unquestioned in fine jewelry manufacturing . Rich Custom Jewelry has several qualities that set it apart from other jewelry stores. As a custom manufacturer first and foremost, we make your jewelry on site thus offering some of the best prices on fine gold and diamond jewelry. We pride ourselves in the highest quality of gems, manufacturing and craftsmanship. We are a family operated business and have been a trusted jeweler of choice in the community. We value our customers and will always go to great lengths to make your experience with us a memorable one. In fact, we were built on customer referrals not commercials and advertisements. We believe customer satisfaction is the single-most important aspect of our business. By "custom jewelry" we truly mean manufacturing jewelry from the ground up. We take raw materials (gold, platinum, diamond, gemstones) and with the industries latest technology, techniques and our qualified professionals, craft exquisite jewelry through original artistic design and creativity. We can also remodel your gold, platinum, diamonds, gemstones or personal jewelry into a new modern piece of your liking. We can help you select the ideal size and shape of your diamond, or any other precious gems for your design. Select between white gold, yellow gold or platinum for your setting. Create a ring, necklace, bracelet, pendant or anything else your heart desires. Get creative! Be a part of the creative process and have exactly what you want, the way you want it. Send us your ideas in any form: a photo, a drawing, etc.. As always we can help you in this process every step of the way. Choosing a design or diamond doesn't have to be complicated, let us make your dream a reality and exciting! Here is a link to our brag book , showcasing some past creations. We are in the business to make you proud to wear an original unique one-of-a-kind piece of fine jewelry manufactured by us, but with the inspiration from you! Thank you for taking the time to inquire about us. Please stop in and see what we are about. Browse at our amazing selection or learn about precious metals, diamonds, precious gemstones and time pieces. We are confident that you will find value in our many services and products. If you are visiting Las Vegas we are just minutes from the strip.